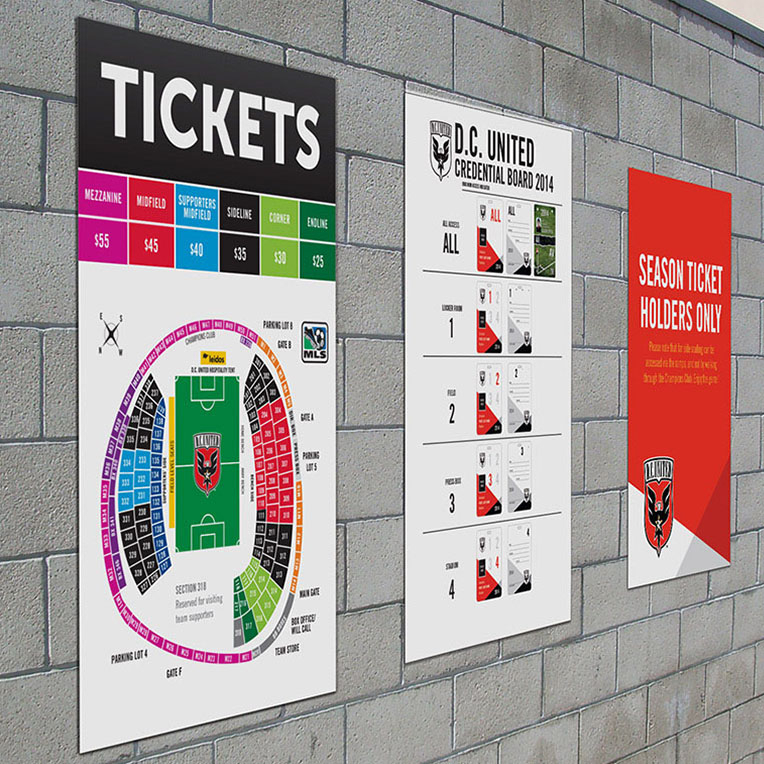 D.C. United, Major League Soccer’s most decorated and successful club, needed a way to improve game day navigation in and around aging RFK Stadium. They reached out to CTR to help develop a cost effective but high quality solution for foamcore signs to be placed around the stadium and ticket sales areas. CTR was able to assist by creating lightweight signs that were both affordable and high quality for multiple uses. These lightweight signs are easy to move around to different locations around the stadium to accommodate the game or event taking place. CTR produced a multitude of foamcore signs and other permanent signs throughout the entire stadium covering ticket prices, game day navigation, and press credentials among others.